The effects of climate change can be devastating to coffee production. We develop innovative techniques and provide smallholder farming families with access to knowledge about effective adaptation and mitigation approaches. Our aim is for smallholder farming families to be able to identify the threats to their production caused by erratic weather conditions and long-term climate change, and to be equipped with the tools to apply the best solutions for their situation. 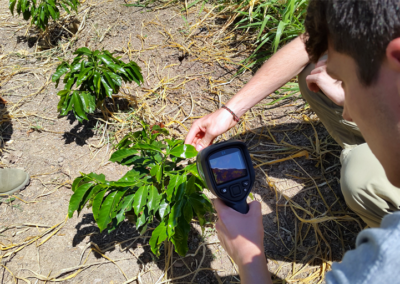 Our climate programs align the coffee industry and encourages the research, training and direct farmer support that will prepare coffee farming communities to withstand the effects of climate change. 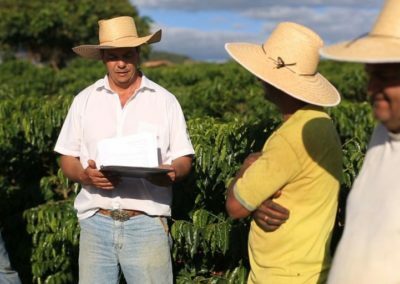 As the implementer of the initiative for coffee&climate (c&c) we promote the c&c methodology that enables farmers and their trainers to foster location-specific adaptation and mitigation strategies. We train coffee farmers and extension agents including, exporters and governmental service providers on the use of the methodology. By doing this we expand the reach of these trainings. We test, consolidate and promote best climate adaptation and mitigation practices which can be directly and at low or no additional costs implemented at the farm, such as soil and water conservation, shade management and diversification. We document our experiences and share best practice openly through the c&c toolbox. 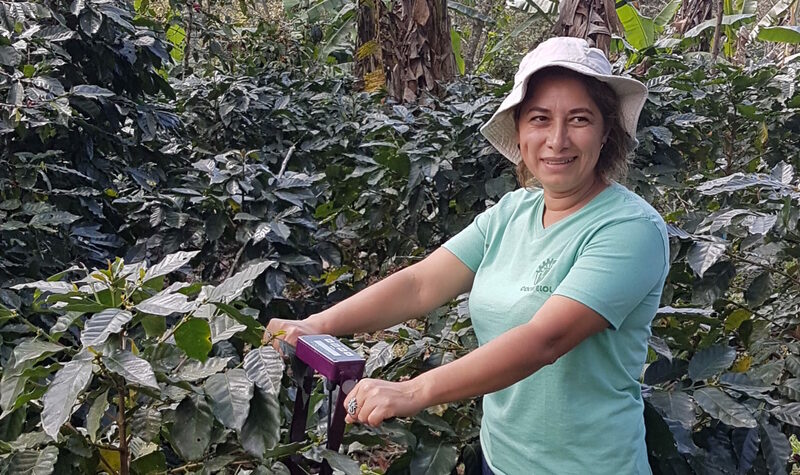 Aware of the role of women in coffee production and their vulnerability to negative effects of the changing climate we are supporting them to adapt and support their participation in household-decision making. We strengthen coffee communities by supporting them to develop and implement their own climate adaptation plans within their village and community to prevent deforestation, protect water sources and use natural resources sustainably. We are also reaching out to other experts in the field to collaborate and build on our work. 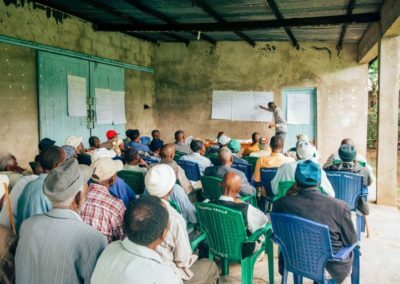 This includes our leadership of the Feed the Future Alliance for Resilient Coffee, a consortium of organizations combining their skills and experiences to encourage uptake of climate smart agriculture throughout the coffee value chain. Our interest is in long-term solutions. And we want others to take up tools and learnings and utilize them. That’s why we anchor the topic climate change locally through Communities of Practice as format facilitating joint learning amongst local stakeholders and experts. It is our aim to connect coffee production with national coping strategies within the UNFCCC process in producing countries. To achieve that, we are strategically linking up with the responsible authorities and support them in the necessary steps. 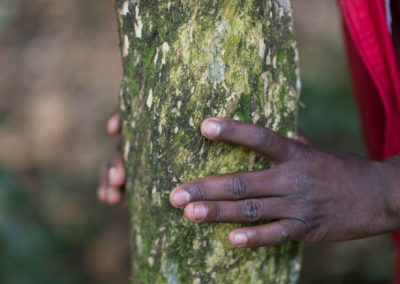 Climate action in coffee growing regions also means to start looking closer at landscapes. Responsible use of natural resources and appropriate framework conditions for rural development are as important as the restoration of degraded landscapes. 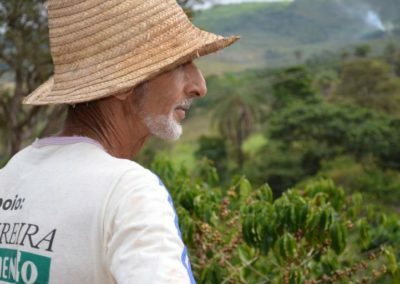 Though we all come from different backgrounds and perspectives, we can work together towards a common goal: protecting the future of coffee and coffee producers in the face of a changing climate. Higher temperatures, unpredictable rainfall, and droughts and storms can all be devastating for coffee production. In many coffee regions this leads to lower productivity and often also lower quality. Following threats like growth and spread of certain pests and diseases hit every part of coffee production The direct impact on coffee quality and yields affects mostly the livelihoods of smallholder farmers and their families. Learn more about the effects of weather patterns on Coffee Arabica.